instructors to all ages and belt ranks. We know how busy life can be - it's easy to forget how important your mental and physical health is, which is why Vortexic Martial Arts is here to help. The Vortexic Martial Arts curriculum provides a great way for adults to stay in shape. It won’t become dull or routine because as soon as you get better and continue learning, there are always more challenges ahead to keep you inspired and coming back for more! Traditional meets modern at Vortexic Martial Arts. Weapons class are taught once a week, focusing on one specific weapon for three months of study. In those three months of study, our martial arts instructors teach origin of the martial arts weapons, martial arts defense and attack techniques, and different movements and fighting scenes often encountered in martial arts. During the last session of weapons class, martial arts students prepare a creative 20-step form and are tested on the techniques they learned. These classes teach children how to properly handle these weapons with extreme confidence. Sparring classes at Vortexic Martial Arts in Katy is a program designed to train students in kicking techniques, speed drills, defensive and attacking combination when it comes to fighting an opponent. Sparring is an integral part of Taekwondo, and it is recognized as an Olympic sport under the World Taekwondo Federation. Our Vortexic Competition Team is comprised of a group of 10 elite martial artists of various belt ranks. We have tryouts for the team every six months. 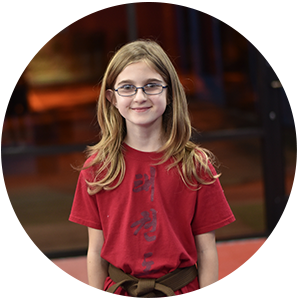 Our Katy martial arts studio can help students develop the skills necessary in order to have a spot on the competitive team. Our martial arts demo team performs in front of live audiences in Katy. By joining the demo team, you will create bonds with other team members and showcase numerous martial arts skills. 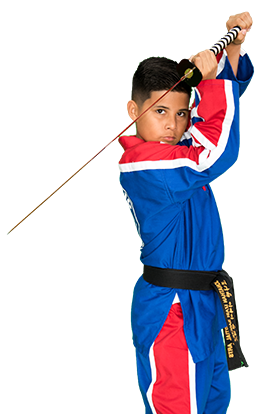 Our competitive martial arts program in the Cinco Ranch area helps prepare students to be a part of this talented team that is experienced in weapons, forms, board breaking and creativity. The black belt class at Vortexic Martial Arts is a great way for students to benefit from individualized attention from instructors to their form, learn advanced techniques and aid in progression to the next belt rank. If you are looking for one-on-one martial arts training, look no further than Vortexic. 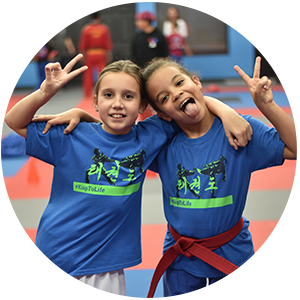 Our skilled martial arts instructors can offer private lessons for those students looking for undivided attention when learning a new martial arts skill. Any student at any age or rank can benefit from private martial arts lessons. We will design a lesson plan to meet each student’s individual needs. 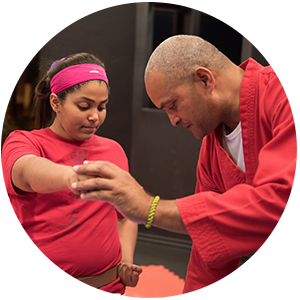 Students greatly benefit from the personalization of the competitive martial arts training programs our instructors create for these one-on-one experiences. If you’re looking to improve your skillset in a safe and personalized environment, look no further than Vortexic. At Vortexic Martial Arts, we think of each student as a part of our extended family. Together, we learn values that will extend well beyond the physical execution of martial arts. We pride ourselves not in the quantity of students we help, but in the quality of education and skill we help our students to attain. FACT: Most Teens and Adults Do Not Get Enough Exercise. Join the ultimate full body & mental workout with Vortexic Martial Arts. This is why it’s so important for teens adults to find ways to help themselves feel better every day! Developing the discipline to reach your goals benefits many different areas of life. 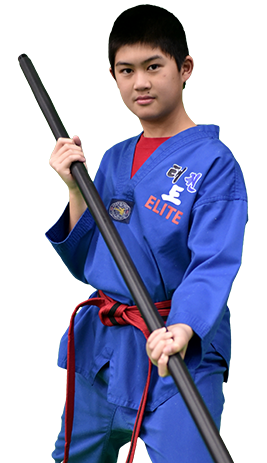 My son has been part of the Taekwondo program for about a year now. During that time we have seen a number of positive changes in him. His confidence has went through the roof! His balance, agility, and overall conditioning have also greatly improved. The process of advancing through the belt system is a great way to unlock an understanding of what goal setting is. The staff at Vortexic is tremendous. Each instructor has a different teaching approach, and this affords the students the opportunity to develop in ways not presented at home or in academia. The instructors at VMA are amazing! They really know how to connect with the kids and help build confidence. My son was apprehensive to continue and with a pep talk from the lead instructor, he became excited to continue and is loving it. He also gets nervous before testing and they are so good with him, giving him tools to focus and calm down. My son has learned and grown so much in the last 6 months and moving on to green belt next week! Begin your martial arts journey Now!